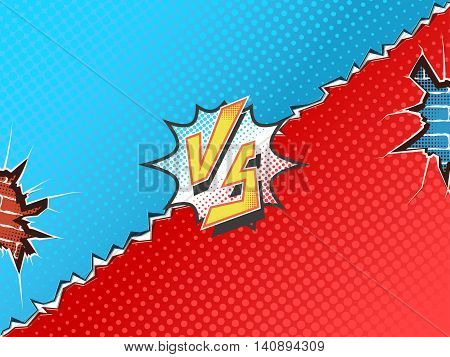 Versus letters fight backgrounds comics book superhero. Vector illustration. Crumbling wall with brick background.